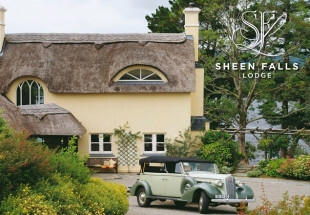 €300 Landmark Trust voucher towards a 3 night stay between January 4th and March 13th 2016. 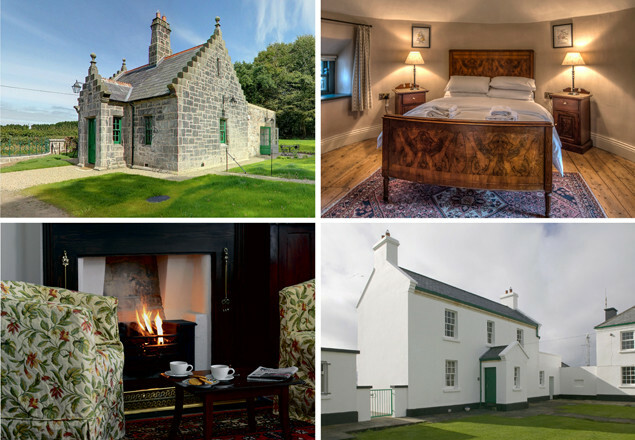 This Christmas give the gift of a stay in the New Year at one of Irish Landmark Trust’s unique and lovingly restored Republic of Ireland holiday homes. This exclusive Rewarding Times Voucher entitles you to €300 off the cost of a three night stay in one of Irish Landmark Trust’s Republic of Ireland properties between January 4th and March 13th 2016. Irish Landmark Trust holidays offer a unique experience in exclusively restored properties ranging from lighthouses to castles, towers to gate lodges and cottages by the sea. Experience living in a historic building in beautiful locations around Ireland. You can reserve your booking from December 1st but cannot stay until January 4th 2016 at the earliest. This Rewarding Times voucher is strictly redeemable against Republic of Ireland properties ONLY and will NOT be valid for bookings during 14th to 29th March 2016 inclusive. You pay €175.00 and receive a Rewarding Times voucher worth €300.00 to be used towards the cost of a 3 night stay at one of Irish Landmark Trust Republic of Ireland properties in January, February or March 2016 (excluding dates 14th to 29th March 2016). Strictly only 100 vouchers available. Strictly one voucher per booking. This voucher is valid (and so the voucher will be redeemed) only for bookings placed between 1st December 2015 and 31st January 2016. PLEASE NOTE that the Rewarding Times voucher will NOT be valid for any bookings that occur within the dates 14th to 29th March 2016 inclusive). This redemption date is firm. No correspondence will be entered into regarding late redemption of Rewarding Times Voucher. 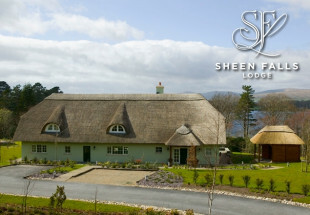 Once booked, stay dates are non-transferable or amendable so please ensure to check prior to booking on www.irishlandmark.com. Any rental cost balance due by the guest must be settled at the time of booking. Light and Heat is an additional charge and this must be paid directly to Irish Landmark Trust. The full value must be redeemed in a single purchase. No refund (cash or otherwise) for any unused value. This voucher is NOT available for bookings made online and can only be redeemed through the Bookings Office, phone 01-6704733 or email bookings@irishlandmark.com. Please note the Bookings Office will be closed from 24th December 2015 to 4th January 2016. After booking the holiday, the Rewarding Times Voucher MUST be sent to Irish Landmark Trust. Bookings will only be confirmed on receipt of the Rewarding Times voucher. Except for payment by way of the Rewarding Times voucher all other Irish Landmark terms and conditions applicable to the holiday letting will apply. 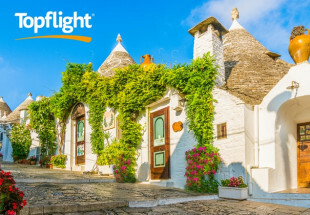 This deal is not available in conjunction with any other special deals or offers and cannot be applied towards existing reservations. The voucher is strictly for Republic of Ireland properties ONLY and cannot be used to book Northern Ireland properties. Vouchers are neither exchangeable for cash nor will be accredited to any account. The full values must be redeemed in a single purchase and can only be used for 1 booking. No refund (cash or otherwise) for any unused value.